The invitation is to let your body, heart and soul welcome you home. To dance from inside out. Each of our body parts is a gateway to the dance. Each of our heart’s emotions is a gateway to love. Each of our soul’s artistic archetypes is a gateway to our unique creative offerings. A gateway is an invitation that is calling us to leave nothing behind, to take all of us along and through. Awakening our whole body this way, we embody all of our energies, our potential for healing, and we become our full self, embodied. For me, to enter into my own Dance, there is no other way than through my body, through my breath and in that way through the truth of this moment. These five sacred rhythms are the essence of the body in motion. Looking through the lens of the 5Rhythms we begin to make sense of the energies moving inside and outside of us. As in life, so in the dance. 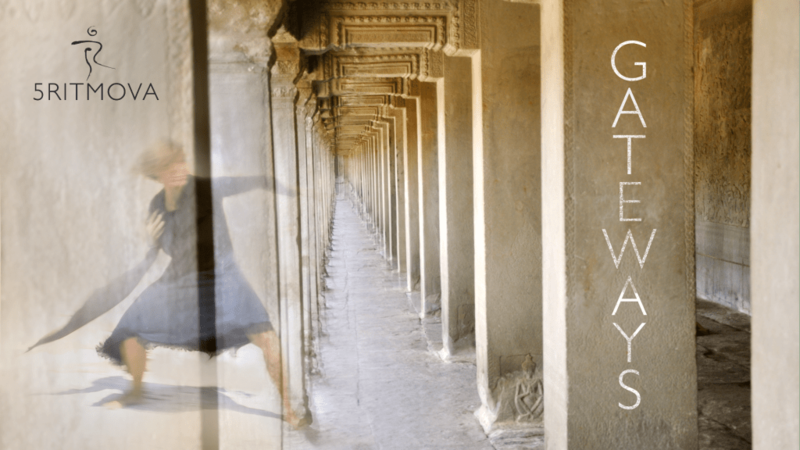 This is the time and this workshop is the place to go through your gateways, through our 5Rhythms practice, moving meditation, formless form, embodied prayer. Welcome! The group will dance and dive deeper together for three modules over a year. The continuity in this type of work together with the exploratory work we do between modules creates and provides a strong, safe and supporting group space for our sharing and learning. Our life becomes our dance, and our dance becomes our life. Silvija Tomčik, Certified 5Rhythms® Teacher (Waves and Heartbeat level) and Member of the Teaching Staff of 5Rhythms® Global. Silvija has been organizing 5 Rhythms for 20 years and teaching regularly both nationally and internationally for the last 16 years. She brings her passion in a grounded way, teaching in a clear and imaginative way, blending humour with wisdom. This ongoing group counts for 4 Days of Heartbeat 3,5 days of Waves Level towards the 5Rhythms Teacher Training prerequisites. All these modules begin on Friday evening and end on Sunday afternoon. Prices: Full price is 120 EUR per module. If you apply online by 5th of February 2019, early booking price per module is 90 EUR. Working team price is 60 EUR per module. Applications are necessary, with 50 EUR deposit. The amount of the deposit is subtracted from the last module payment. In case you are unable to participate in one or more modules, for whatever reason, you will have to pay 70% of your price for that module/s.